To say that Jerusalem is a city of museums is an understatement. There are more than 60 museums in the city, which is very impressive for a tiny city compared to other major metropolis and tourist destinations in the world. While a majority of these museums are excellent and the best in their field, the most important museum in the Holy City and the entire country is the Israel Museum. Perhaps the most exciting archeological finds ever are the Dead Sea Scrolls, and where are they now? You guessed it, in the Israel Museum. The scrolls are the centerpiece of the museum, which explains the uniquely shaped dome in one part of the museum. The white roof is supposed to represent the clay jars that contained the scrolls. Beneath the white dome is the Shrine of the Book, which features a hall that holds several of the original scrolls. At the center you can see the scroll of the Book of Isaiah, which historians and experts found as the most important scroll of all. To protect the real thing, however, what you see is probably just a duplicate. The real scrolls are put on display for a few months only and then kept in a special storage area to avoid wear and over exposure. The Book of Isaiah is surrounded by the other scrolls in rotating platforms. Beneath the hall is another important document, the Aleppo Codex, which is a thousand-year old Bible used by Maimonides, a highly respected medieval Jewish philosopher when he wrote his commentaries. If you’re not really into ancient manuscripts, the museum has plenty more to offer you. With over 500,000 archeological and anthropological items on exhibit, Israel Museum entertains its guests with a variety of departments, which include the Jewish ceremonial art, primitive and Israeli art, old masters, and modern art departments, not to mention a children’s museum and the Billy Rose Sculpture Garden that features original works by Picasso, Rodin and Henry Moore. The museum has something for everyone. Across the Shrine of the Book is a 1/50 scale model of Jerusalem during the period of the Second Temple or before the Romans destroyed the city in 66 CE. People can’t help but marvel looking at just how grandiose Jerusalem used to be, with Herod’s Temple at the center of everything. Israel Museum is so huge you need more than a day to see all of its halls, galleries and attractions. The entire complex is as large as six to seven museums put together. But just in case you’ve had enough of this majestic repository of Israeli history, the other Jerusalem museums you could check out are the Yad Vashem Holocaust Memorial, Tower of David Museum, Jerusalem Botanical Gardens, and Rockefeller Archeological Museum, among many others. 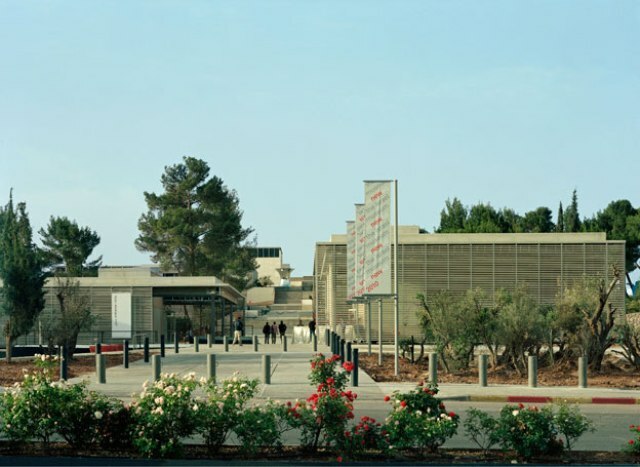 Israel Museum is open every day except on Tuesday mornings and official holidays. On Tuesday afternoons, admission is free for children. Within the museum grounds are cafes, restaurants and shops to keep you entertained. The museum is located on Ruppin Boulevard near the Israeli Parliament. To get there by bus, simply take any of the 9, 17, 24, 24a, 31, and 32 bus lines.